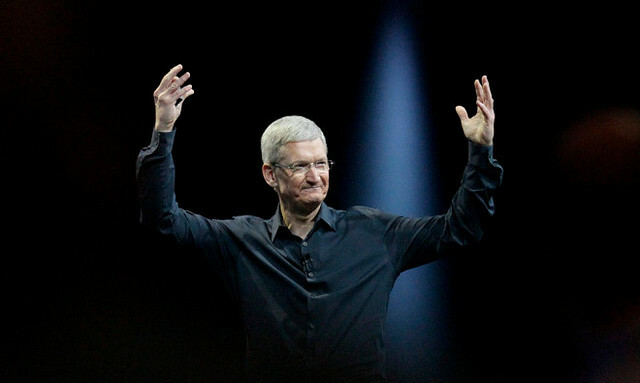 Apple’s Q1 2015 Profit: Where Did All That Money Come From? The recent talk of the business world is Apple’s record-breaking sales and profit for its latest quarter, which ended December 27, 2014. That’s an $18.04 billion profit topping the previous record of $16 billion held by Gazprom in the first quarter of 2011. (Gazprom is a Russian energy firm and one of the world’s largest companies.) Its sales rose to $74.6 billion, up from $57.6 billion in the same quarter a year ago and 65 percent of this comes from international sales. For investors, earnings per share grew 48 percent from last year. Apple’s worth is so huge it can buy a third world country and still have cash left in its coffers. For the pessimists who thought that the demise of Steve Jobs three years ago sounded the death knell for this popular tech giant, CEO Tim Cook just proved them wrong. But, one might wonder, where did this profit come from? What products did Apple sell that totaled $74.6 billion and who bought them? The iPhones made up approximately two thirds of the quarter’s sales and profits. 74.5 million iPhones were sold in this chart-busting quarter. In the United States, the iPhone 6 Plus with its 5.5-inch retina HD screen made up 30 percent of sales. Developing markets made up a sizable portion of sales. In China, the iPhone market grew by 70 percent last quarter compared to a year earlier, helped by the deal reached in early 2014 with the country’s biggest mobile provider, China Mobile. Creative Strategies analyst Ben Bajarin had predicted that China would exceed the US in iPhone sales by two million for the October to December period. Although no figures are available, this was debunked by Apple CFO Luca Maestri, although he did say that Apple stores in China will reach 40 by mid-2016. In the US, 50 percent of all smartphones sold for Q4 were iPhones. Twenty six percent went to Samsung, 11 percent to LG, 4 percent to Motorola, 2 percent each to HTC and Nokia, 1 percent to Amazon and less than 1 percent to Blackberry. These data came from the Chicago-based analyst company Consumer Intelligence Research Partners. Twenty percent of iPhone sales were credited to Android users who switched to iOS. In Singapore and Brazil, iPhone sales were twice as many. Japan and Korea also had new sales records for the iPhone. Another factor that contributed to the skyrocket sales was the early availability of the iPhone 6 and 6 Plus in 130 countries. The iPad had a lackluster quarter, selling only 21.4 million tablets against the 26 million in the same quarter last year. But it still isn’t something to sneeze at, since the International Data Corporation reports that sales for tablets totaled only 54 million. Sales for Mac grew 15 percent, with 5.5 million desktops and laptops earning revenue of $6.94 billion. For iTunes software and services, Apple made $4.7 billion for Q4 2014, which is $300 million more.